Finished size is 12in x 14in quilted applique wall hanging. 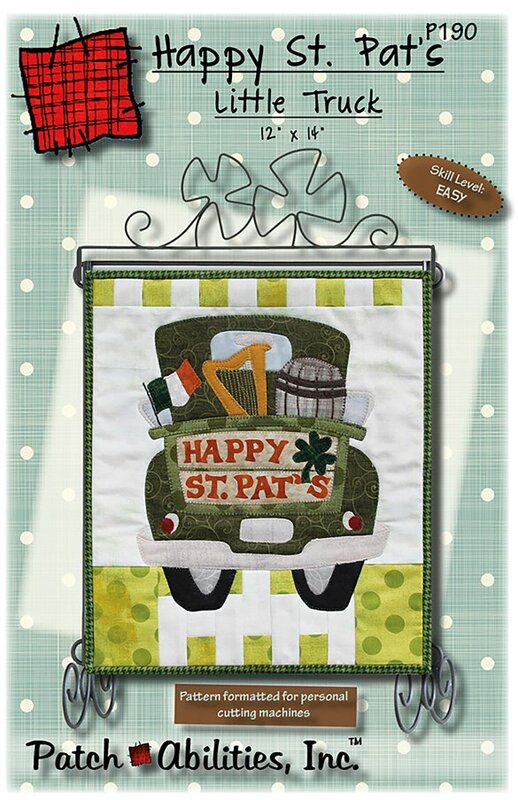 Crank up the Craic with this pattern to create a festive green vintage truck St Patricks Day featuring Irish flag, Irish harp, beer barrel in the back of a vintage truck. The Irish harp, though not as popularly well-known around the world as the shamrock for being an Irish symbol, is the official emblem of Ireland. Pattern features: beginner friendly directions, frustration-free tracing templates for fusible applique, and even includes beginner tips and binding instructions. Great beginner project to learn to machine applique with large simplified applique shapes. Just a little bit of embroidery and this can be completed in just 1 day.